There are major concerns about the quality of public education in developing countries—with achievement surveys indicating low levels of learning even for children who have attended school regularly for many years. In Vadodora, India, researchers studied the impact of supplementing classroom instruction with computer-assisted learning (CAL) in primary schools. CAL significantly improved student’s math scores, but was less cost-effective than the remedial tutor-based program, Balsakhi. Over the past decade many developing countries have expanded primary school access, energized by initiatives such as the United Nations Millennium Development Goals, which call for achieving universal primary education by 2015. However, there are major concerns about the quality of public education in developing countrieswith achievement surveys indicating low levels of learning even for children who have attended school regularly for many years. While much is now known about how to get children into school, much less is known about how to improve school quality in a cost-effective way. While many schools rely on rote learning and memorization, how realistic is it to introduce more interactive learning approaches? How important is a pedagogical approach that adapts to the level of the child? Can technology help achieve these goals in a cost-effective way? In India 44 percent of children aged 7 to 12 could not read a basic paragraph and 50 percent could not do simple subtraction in 2005, although most were enrolled in school. Even in urban India, the learning levels are very low. In Vadodara, a major city in the Indian state of Gujarat, only 19.5 percent of the students enrolled in grade 3 could correctly answer questions testing grade 1 math competencies. Computer-assisted learning (CAL) could be an effective supplement to regular instruction, as good education software can be reproduced at a nominal cost, and well-designed educational games can sustain interest and curiosity as well as adapt to the learning level of the child. 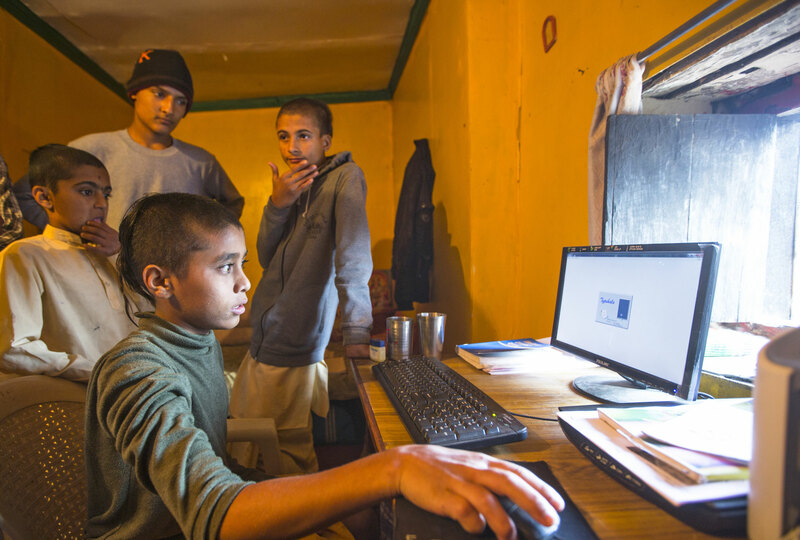 Excitement over CAL is particularly strong in India, where the high-tech sector is successful, but schools have little guidance about if or how they should use computer based educational assistance. Taking advantage of a government program that placed four computers each in 80 percent of primary schools in Vadodara, education-oriented NGO Pratham designed a program that supplemented classroom instruction with CAL. The study asked if CAL improves students' skill levels, if the effects would persist over time, and how cost-effective the program would be compared to alternatives. 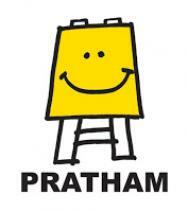 Pratham introduced the CAL program over two years. Fifty-five schools were randomly assigned to receive the intervention while 56 served as a comparison. Students in treatment schools received basic instruction on how to use the computers, and then spent two hours per week of shared time (two students per computer) working independently with educational software. This software consisted of self-paced games in the local language, designed to improve basic math skills. The students were tested at the beginning, middle, and end of the school year, in both math and language skills. The experiment was repeated the following year by providing the CAL program to the schools that had served as a comparison group in the first year. Impact on Education: Students who participated in the CAL program had higher math scores on average compared to the comparison group. In the first year math scores increased by approximately 0.35 standard deviations, and in the second year, by 0.47 standard deviations, a substantial achievement when compared to other education interventions. There was no measurable impact on language scores, suggesting that the introduction of computers did not have spillover effects on learning in other subjects. The improvement in math scores persisted to some extent after one year, but further research is needed to fully assess long-run impacts. Comparative Cost-Effectiveness: The CAL program was tested at the same time as a remedial tutor-based program, Balsakhi. The CAL program was shown to be highly effective in raising students' skill levels in math, but was less cost-effective than the tutor-based Balsakhi programthe Balsakhi program cost about US$2.25 per student per year, whereas the CAL program cost about US$15.18 per student per year. In J-PAL's comparative cost-effectiveness analyses, the CAL program led to a 1.55 standard deviation improvement in test scores and did not have an impact on years of education per $100 spent. For more information, see the full comparative cost-effectiveness analyses for test score performance and student participation. Banerjee, Abhijit, Shawn Cole, Esther Duflo, and Leigh Linden. 2007. "Remedying Education: Evidence From Randomized Experiments in India." The Quarterly Journal of Economics 122(3): 1235-1264.